A modern, inviting design with a tint of nostalgia. 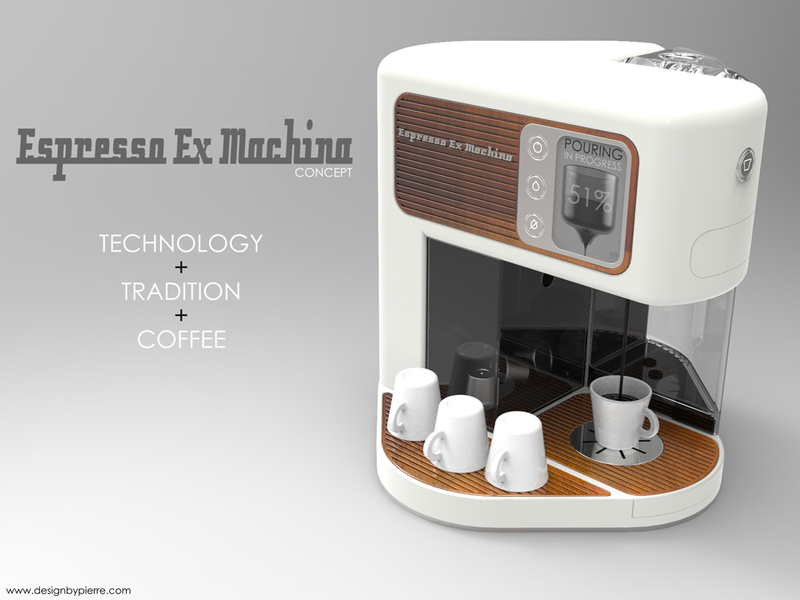 Espresso Ex Machina fuses the latest coffee making technologies with a timeless and elegant appearance, inspired by streamlined appliances of the 1950’s. An open layout with easy access to all the key components. 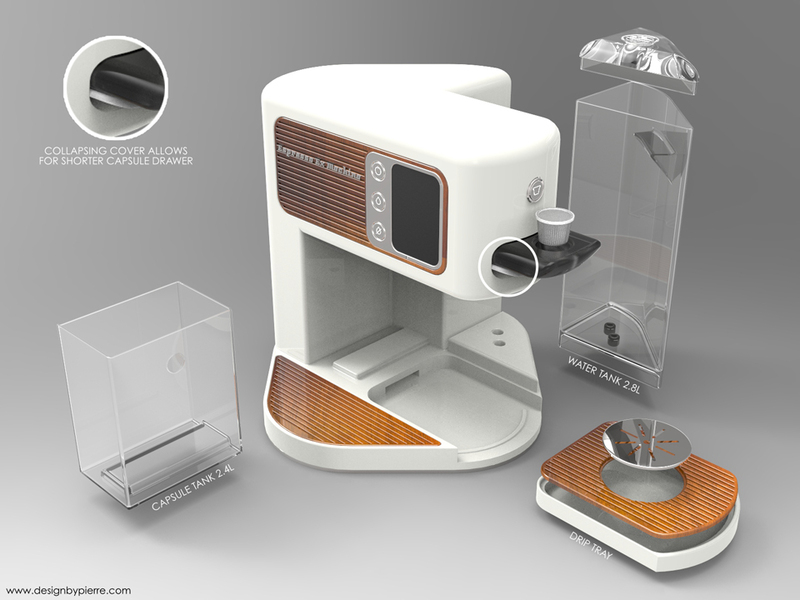 A diagonally placed coffee preparation system for optimised dimensions as well as a multi-faceted appearance that can be admired from several angles. 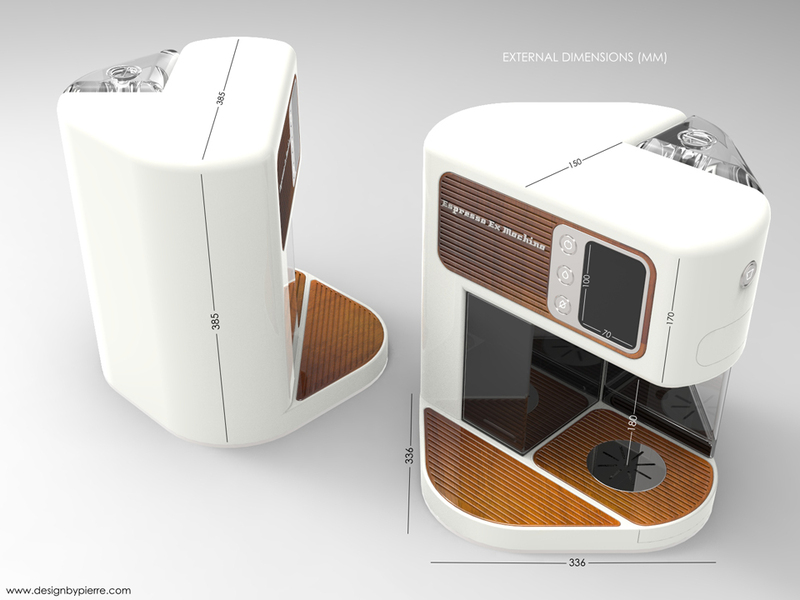 A square footprint for ease of placement in any environment. 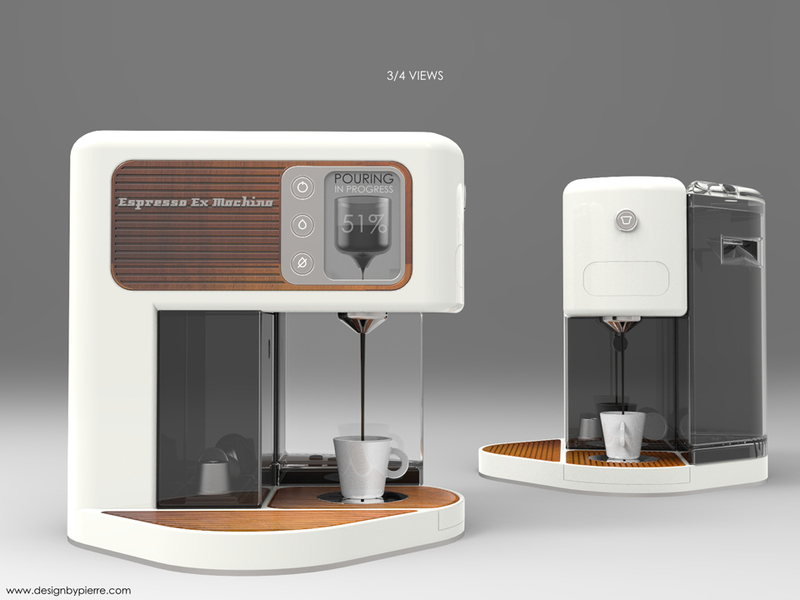 Premium materials, stainless steel and teak wood, that invite users to touch and use the equipment. A large touchscreen for intuitive mode selection and playful progress indication during the preparation stage. Solid, mechanical buttons for a pleasing and reassuring tactile feedback when executing key operations.